New PR apprenticeship goes live, Silence opts for Optimum, Ramarketing expands to Manchester, and more from PRWeek UK. The new Public Relations and Communications Assistant Apprenticeship is about to launch. Having been approved by Government last year, it will replace the existing PR apprenticeship programme, which has been completed by more than 250 apprentices through the PRCA since it launched in 2011. The PRCA will be a training provider for the new apprenticeship, having worked with 23 agency and in-house employers over the last three years to the develop the standard. The trade body said the new programme "places more emphasis on planning and evaluation in PR and communications, while also incorporating a broader range of communications skills, including using the latest social media channels and production of non-written content". In a separate announcement, also timed to coincide with this week's National Apprenticeships Week, the agency Instinctif Partners has become part of The 5% Club. Members commit to ensuring that at least five per cent of UK staff are apprentices or recent graduates. Instinctif says it is the first PR firm to join. New agency Optimum Strategic Communications has been appointed as investor relations and PR adviser to AIM-listed medicines firm Silence Therapeutics. It will partner with US-based partner agency Burns McClellan on the account. Optimum was launched in October by Mary Clark, a former MD at Hume Brophy who before that worked for M: Communications. It now has eight staff across London and New York. Pharma and life sciences agency Ramarketing has opened a second UK office, in Manchester. The Newcastle-headquartered business is also promising to expand its current 20-strong workforce by 20 per cent. It follows the news of a "six-figure" investment in the business last year, when it said it was also looking to open an office in the US. 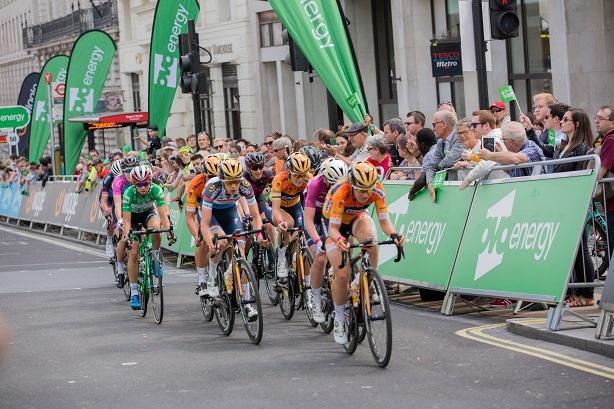 Independent energy supplier Ovo Energy has hired Fusion Media to handle PR for its cycling portfolio - in particular, it will raise awareness for several elite races it sponsors: the OVO Energy Tour of Britain, OVO Energy Women's Tour (2017 event pictured below) and OVO Energy Tour Series. Rooster PR has been hired to run UK PR for the Ras Al Khaimah Tourism Development Authority, the tourist body for the Northernmost of the emirates making up the UAE.